Google’s automated vehicles are instantly identifiable by the rotating lidar unit mounted on their roofs, and most other automated driving research vehicles are also using lidar, either in similar roof mounted systems (e.g., Bosch), or in multiple units, each with less than a 360 degree field of view (e.g., Carnegie Mellon). These are very powerful, 3D scanning sensors, but they don’t come cheap. According to reports, Google uses a sensor from Velodyne that costs approximately $75,000. Some of those with less than a 360 degree scan can be had at less than half that price, but you need several of them. I don’t think any hobbyists (unless they are in the 1%) are going to run out to get one to use in their robotics project. A good video showing the processed information derived from the Google car is viewable here: http://youtu.be/_EMAoiqLq9Y. Until just a few years ago, that was about it. If you wanted to experiment with a lidar unit, you needed to shell out over $10,000. But that’s changed, and it’s starting to change even faster. Lidar generally works by sending out a laser signal and measuring the time it takes to get a reflected signal back from an object. Like radar, you get a range and direction. this distinguishes lidar from laser rangefinders, which determine distance only (and at least one vendor, apparently wanting to exploit the interest in lidar, advertises their rangefinder as a lidar unit). Lidars are not mass-produced, and sophisticated electronics that handle are precise at processing extremely tight time frames (the time of flight difference for a radar return from 1 meter versus 10 meters is EXTREMELY small). Very precise mechanical parts are typically required. However, in 2010, Neato Robotics introduced a new robotic vacuum cleaner that got robotics hobbyists very excited. Not because they don’t like dirty floors, but because it incorporated a lidar unit as part of its navigation system. And the entire vacuum cleaner, lidar included, cost less than $400. Hobbyists got right to work hacking the lidar unit, and, while the manufacturer doesn’t sell just the lidar units, they are available on ebay and other sources for under $100 each! The interface has been reverse engineered and documented on many websites, including the XV11hacking wiki. Interface code for ROS and other platforms, e.g., arduino, have also been developed. At least one vendor, Get Surreal, sells a controller board for this unit to simplify use. Part of the cost reduction comes from using a different approach for ranging. Rather than using time of flight for the lidar signal, the Neato unit uses triangulation, with a laser diode emitter and an imager receiver. This eliminates the need for extremely time-precise electronics. 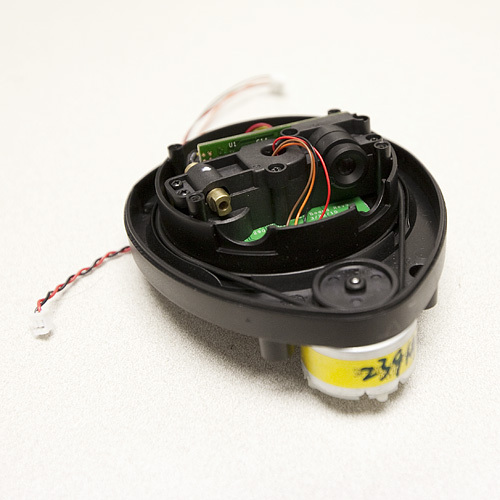 A technical paper on their lidar, A Low-Cost Laser Distance Sensor, is available on the web. Obviously these units don’t compare with a $75,000 unit. Their range is on the order of 6 meters (nice for indoor or slow speed operation, but hardly something you can build an autonomous passenger vehicle around). The resolution is lower, and they produce a 2D scan, not a 3D scan. A nice, short, video demo of the type of performance you might expect is at http://youtu.be/WkW55b-WQx4. One could mount one on a tilt platform and produce a 3D point cloud from multiple scans at different angles of elevation, but it would be slower. This video shows that approach, albeit for a different lidar unit. I’ve got an XV-11 unit and controller board on order, and will report about it in part 3 of this series (which could be awhile in coming). The XV-11 was the first low-cost lidar unit for hobbyists, but new options at a variety of price ranges are coming available. 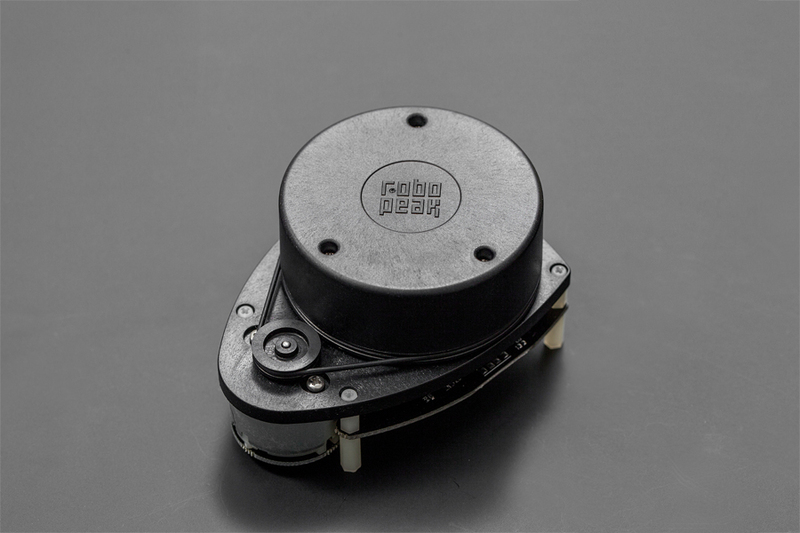 Robopeak has introduced what appears to be a similar unit to the XV-11, the RP developed and designed for hobbyists and researchers. Priced at $399, it includes, according to reviewers who have purchased the product, good sample drivers for several platforms, including ROS and arduinos, as well as a full SDK and good documentation (something that won’t be found when buying an XV-11 unit on ebay). For many, the greater ease of use and reduced time would be worth the price difference from an XV-11. A number of low-priced laser range-finders advertise themselves as lidars, but with this exception, I’ve looked at only systems that scan, either in 2D or 3D as lidars. While a range-finder (1D), the LIDAR-Lite has some very interesting advertised capabilities at a low price point, which might make it worth exploring putting it on a rotating platform as a lidar unit. Rather than directly measuring time of flight, as more expensive units do, or using triangulation like the NX-2, it sends out a coded waveform and, if I understand what they are saying on their website, uses signal processing to look at the shift coming back as compared with an identical reference signal. The unit is very small (21 X 48.3 X 35.5 mm) along with a similarly sized single PCB board and costs $89. Keep in mind this is for a range-finder. You’d still have to have a precision panning platform to use it as the core of a full lidar. What makes this unit interesting is that with the $89 laser version, with optics, they claim a maximum range of 30-60 meters, and that it works outdoors in sunlight, which is, as far as I can tell, unprecedented for such a low-cost unit. 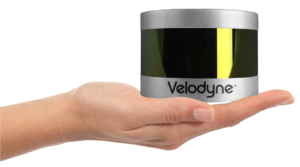 Part 2 of this series will discuss some of what’s available for budgets of $1,000 – $10,000, including the recently announced Velodyne Puck.